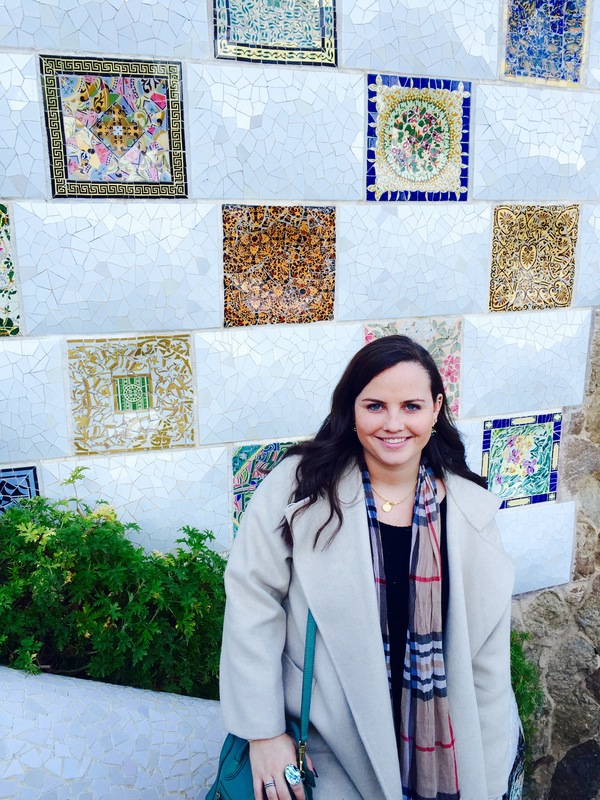 In attempts to get over my hump day blues, I thought I would relive my amazing trip to Barcelona this past New Years. While it took 15+ hours to get there, it was worth every second – a place I’ll never forget! The atmosphere, sites, and food were incredible! Truly a place worth visiting. 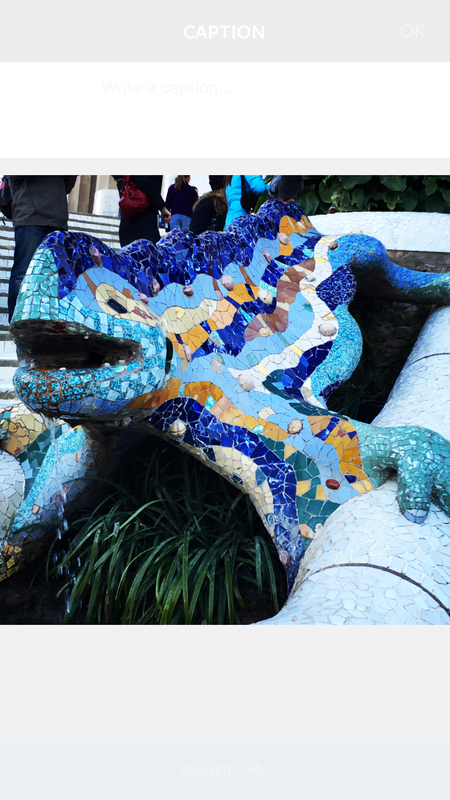 We visited many of the historic sites including taking tours of the famous – I’m gunna say artist, not architect for reasons you’ll see below – Antoni Gaudi’s inspired creations. 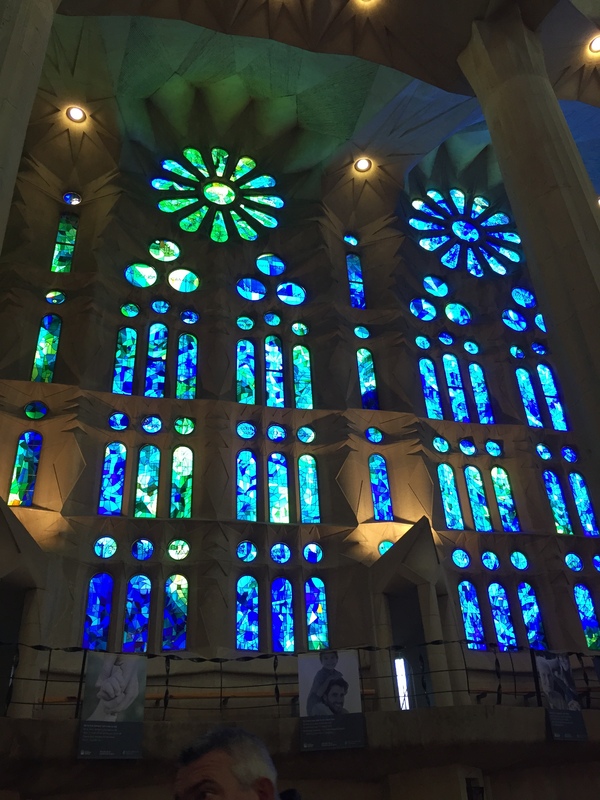 We visited the Sagrada Familia (a work still in progress, being finished in Gaudi’s vision), Casa Batllo, Casa Mila, and Park Guell. 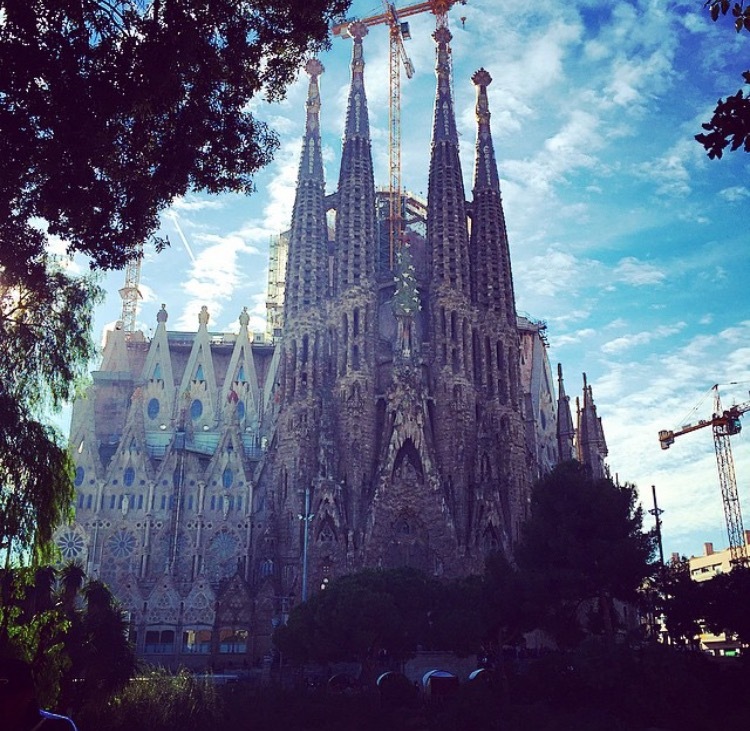 The Sagrada Familia is an amazing Basilica that is believe it or not still incomplete. Construction began in 1882 and Gaudi took over in 1883. He created an incredible vision is actually still being carried out today. Words cannot describe the beauty inside and pictures can’t do it justice either. 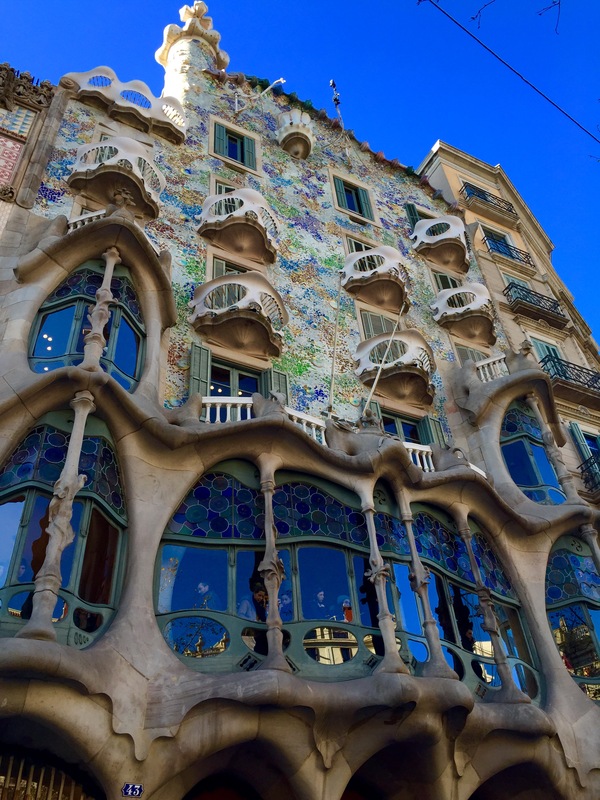 This is a must see if you visit Barcelona – and the guided tour is definitely worth the price. We also visited the beautiful Casa Batllo, completely inspired by nature, it is an extraordinarily unique place. The interior features two huge light columns bringing the natural light down throughout the entire home. Another incredible place courtesy of Gaudi is Park Guell. It was originally commissioned to be a park surrounded by expensive, technologically advanced homes, to create a sort of wealthy exclusive community; however, the project never took off and instead we were left with the beautiful park. From the top of the park, you can see the entire city of Barcelona – looking out over the beautiful mosaic bench Gaudi created. 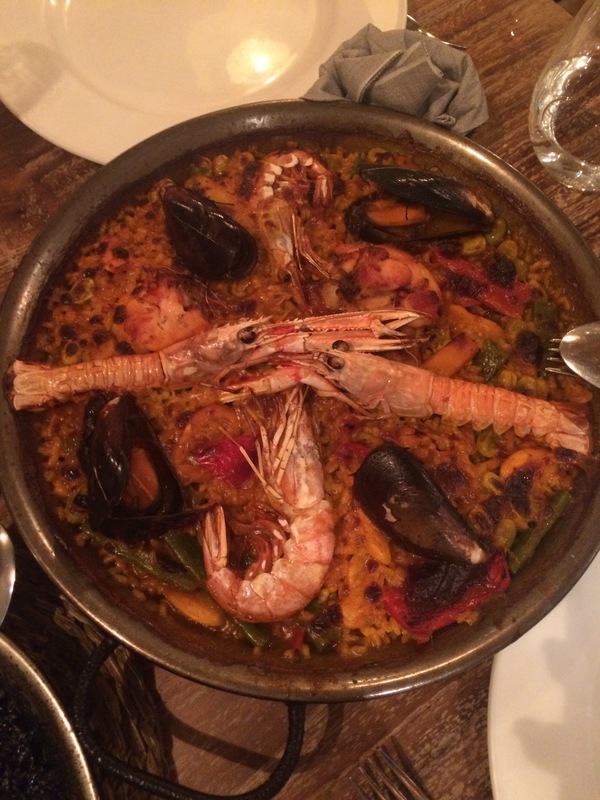 Not only did my family enjoy the sites of Barcelona – but we enjoyed the food. A lot of food. A lot a lot of food. Paired with a lot of Sangria. 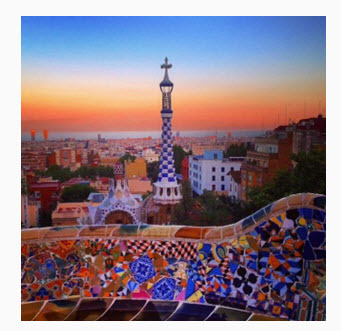 We went to some amazing restaurants, had a lot of Paella and Tapas, and visited the Mercado de la Boqueria (as seen in the header picture – taken from my sister’s instagram @isabellekh14)! 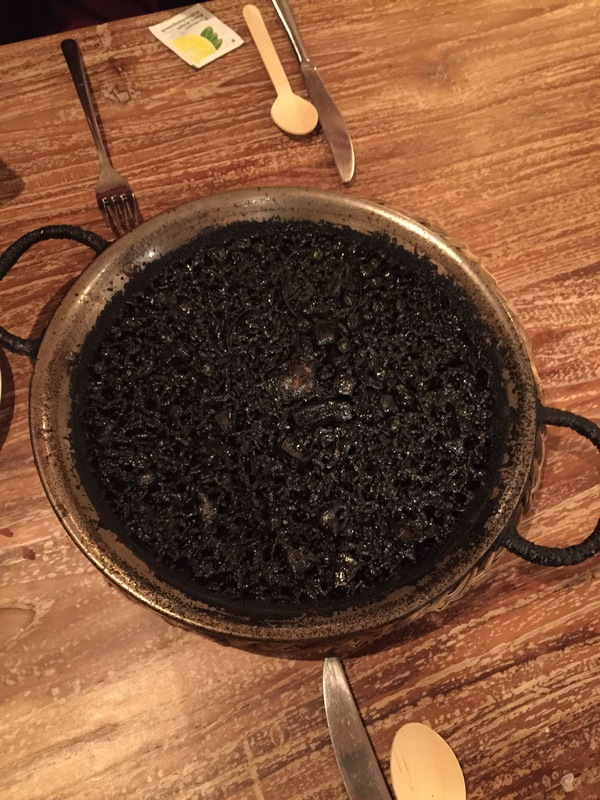 The squid ink Paella from L’Arrosseria Xativa was one of our favorites throughout the trip. It may look scary but it is delicious! 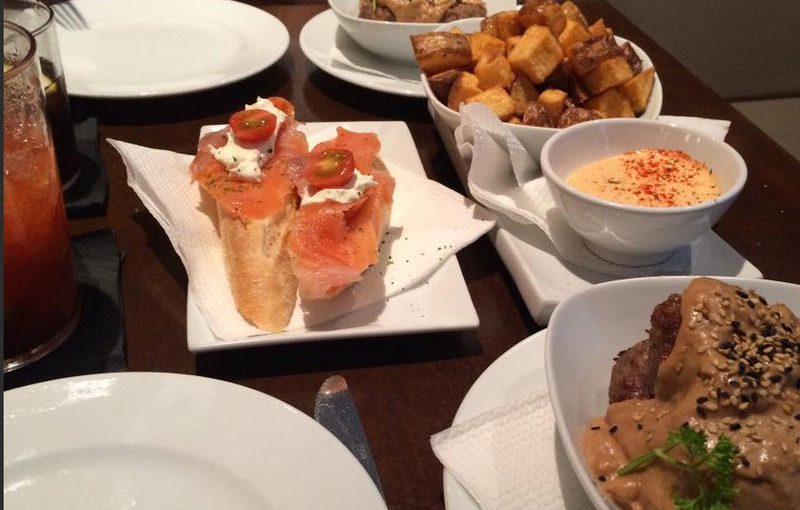 Tapas from Tosca – so good we went twice! We had tapas almost everywhere we went but some of our favorites were from Tosca, a cute little cafe / bar a couple minutes away from our hotel. This place was so good we ended up going twice! My favorite tapas of the trip were the Patatas bravas (potatoes), Albondigas (meatballs), and Croquetas. We celebrated our New Year’s Eve at the restaurant Agut. An amazing family owned establishment. It was established in 1924 and still has the same paintings hanging within today. They served a prix fixe menu that was delicious, we devoured every course! This was a perfect place to soak in some of the true Barcelona culture – and have a great time on New Year’s Eve! 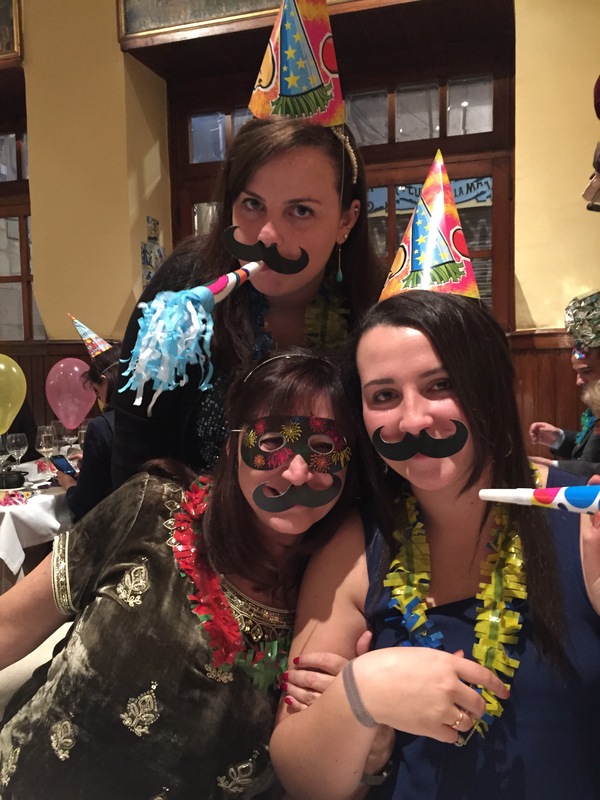 New Year’s Eve – Livin the dream at Agut in Barcelona – can we talk about the guy in the background and his foil hat! Overall the trip was amazing and I think Barcelona is a fabulous place to visit. I know my family and I had an incredible time – I hope this post (although long) gives you some idea of the experiences to be had! July 9, 2015 .Reading time 3 minutes. 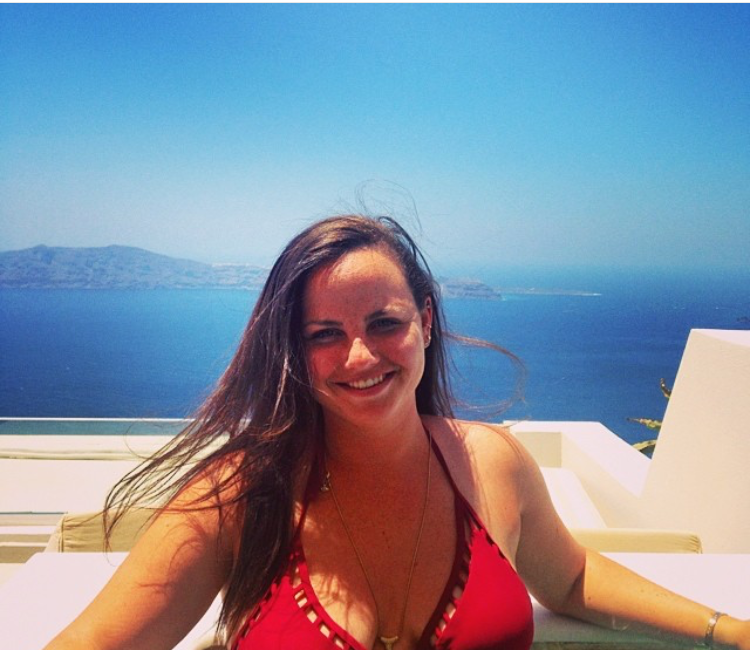 Last summer, I was lucky enough to visit Greece with my family. 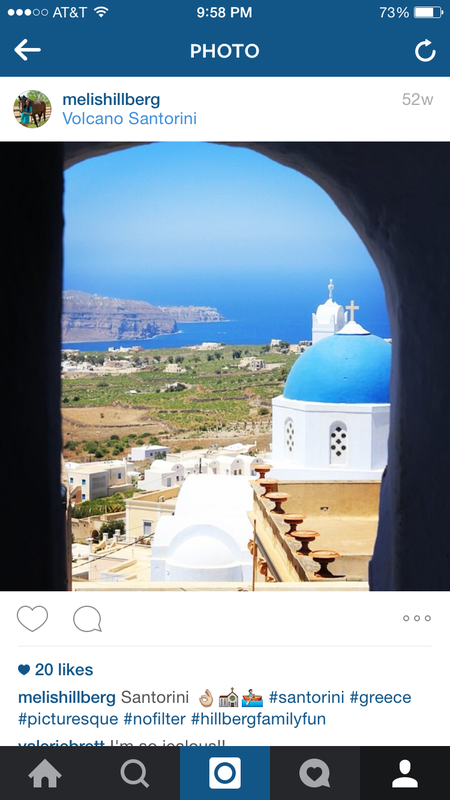 It was the most amazing trip and my personal favorite stop along the journey was Santorini, with Mykonos as a close second! The island was right out of a movie with everything in the classic blue and white color scheme. We went wine tasting, hung out at the pool with its dramatic views, went shopping, and ate AMAZING food. 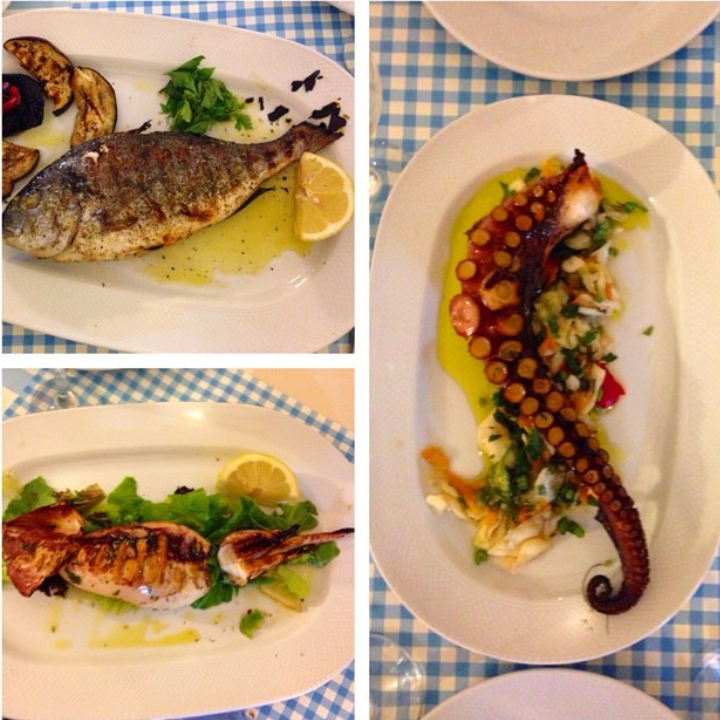 There was endless fresh seafood and the classic Greek preparations were delicious. Avocado Restaurant in particular was one of the best meals we had on the trip. We ended up there one night on a whim as it was right down the street from our hotel. That particular night the wind was unreal and made us unwilling to travel very far for food. Luckily this place was nearby! The food was amazing, as you can see from the picture below and the people there were so incredibly nice and accomodating. They even seated us at a table in the back in order to shade us more from the crazy wind outside. Our incredible food. Grilled Octopus, Stuffed Calamari, and fresh Catch of the Day! This was the best octopus I had on the trip – and we ate it almost at every meal! 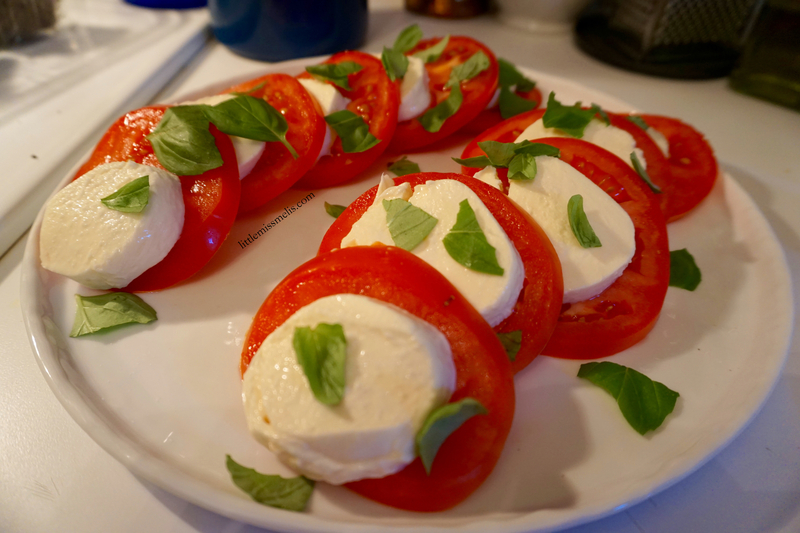 It was extremely fresh and tender delicately prepared with lemon and olive oil – my mouth is watering just thinking about it. Another one of my favorites was the stuffed calamari. It had a delish cheese mixture inside that paired perfectly with the fresh calamari and lemon. Lastly, my dad ordered the catch of the day, an extremely fresh fish cooked with olive oil and lemon. As you can imagine the olive oil in Greece is top notch, and the simplicity and freshness of the seasonings really allowed the seafood to shine. I can’t wait to go back to Greece, especially Santorini and eat here again! July 8, 2015 .Reading time 5 minutes. 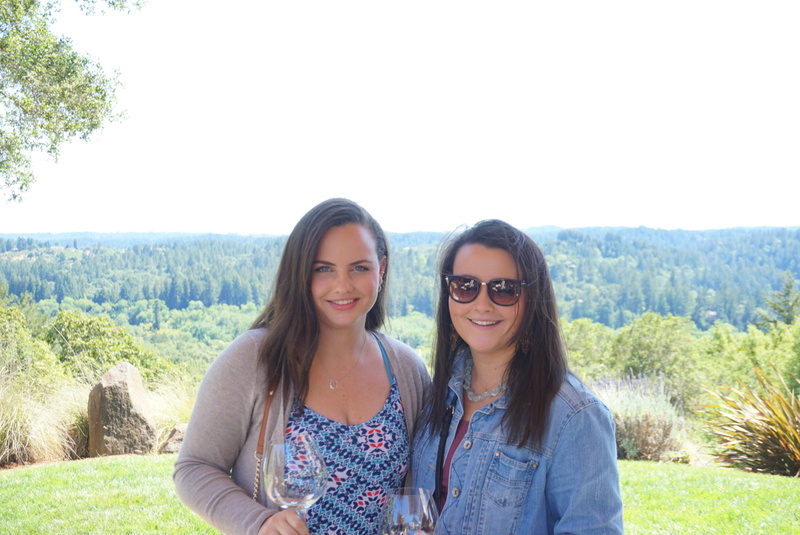 Over the 4th of July weekend my family and I headed up to Napa Valley for a little wine tasting day! We ended up at a couple great wineries and the views made all the traffic worth it! My Sister, Izzy (on right), and I at Gary Farrel Winery. Our first stop was Gary Farrel Winery. The winery had an amazing tasting room located hillside looking out on the russian river valley. It was such a picturesque location, only made better by the perfect weather of the day! We started off by tasting two whites, their Sauvignon Blanc and Chardonnay. Typically Sauvignon Blanc is not my favorite but this one was surprisingly light with hints of citrus. Next up in our tasting was a lovely Chardonnay. 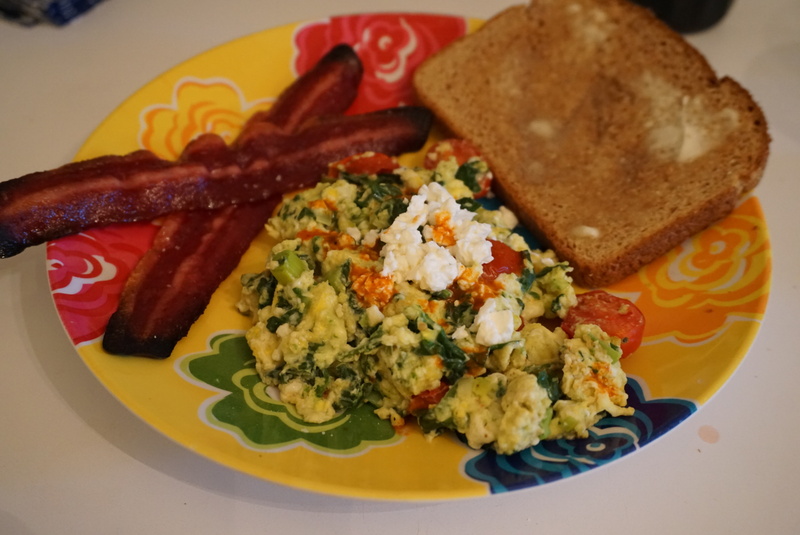 This Chard was again a little lighter than normal and didn’t have as much oak in the flavor – A+ from me. We then moved on to the Red wines with a Pinot Noir and Zinfandel. The Toboni Vineyard Pinot Noir was the shining star in the tasting for me. It was full bodied, tasting of bourbon soaked cherries and had a long tangy yet smooth finish. A wine that would be great in around 5 years! Last but not least we tasted the Maffei Vineyard Zinfandel. This Zin was a similarly fully bodied wine with a lot of berry undertones. All in all a great tasting with unbeatable views. If you get to the winery before 3 pm (they close at 4:30), they offer tastings outside! Enjoying the sunshine at VML Winery! Our second stop for the day was VML Winery. 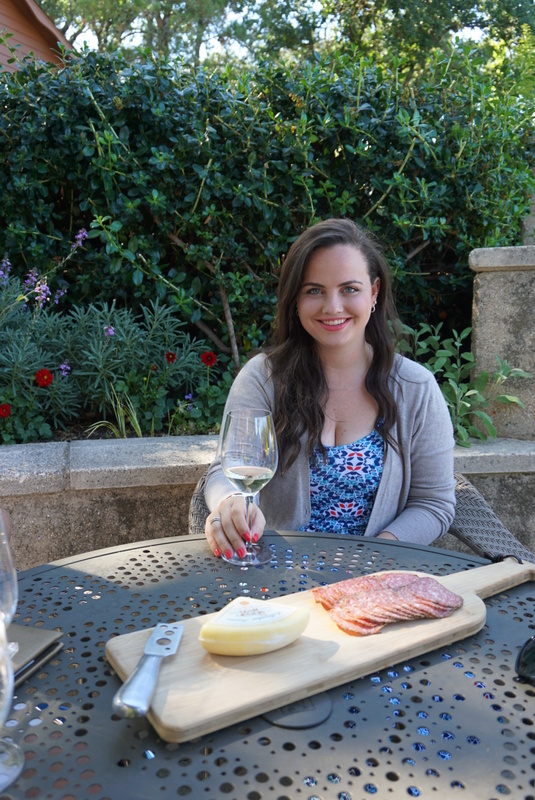 We were able to sit outside for our tastings and added a little cheese and salami to pair with our wines (Yum!). The weather was perfect and the atmosphere was the great way to end our trip. We each did a tasting that included 5 wines. The first wine we tasted was a Sauvignon Blanc, the second a Chardonnay, then a Rose, two Pinots. Overall, I really enjoyed the Rose and Pinots. The Sauvignon was a tropically flavored white with a crisp finish. It had hints of honeydew and citrus that made it great for summertime. The Chardonnay was refreshing as well! The Rose we tasted was a Pinot Rose with hints of strawberry. My personal pick for a perfect summer wine! The two Pinots we tasted were lovely and I actually ended up buying the candles in their scents! (So amazinggg – and so beautiful!). They were both rich in flavor with plum and chocolate qualities. Loving the scenery at Gary Farrel – had to stop and take a pic! I was only able to make it to two of the winery’s due to bad traffic 😦 but if you are ever in the Napa Valley area I highly recommend making a day out of all of the beautiful locations. There are TONs of wineries all with amazing views and tasting rooms. You can spend all day enjoying the wine, scenery, and company of friends and family! 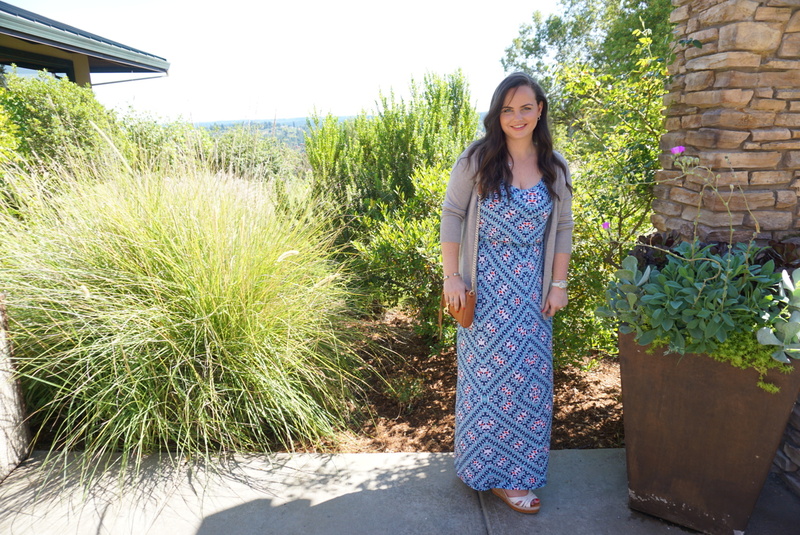 Dress – Lush Maxi Dress (bought at nordstrom). This dress is AMAZING – very reasonably priced and it comes in a bunch of colors and patterns. I personally have 4 of them! They are so comfortable and so cute to throw on in the summertime. p.s. the lipstick I am wearing is the ColourPop lippie stick in Fiesta. My sister and I are mildly obsessed with shark week. And by mildly obsessed I really mean extremely obsessed, it’s slightly embarrassing. But I mean, it really should be a national holiday week, just sayin. 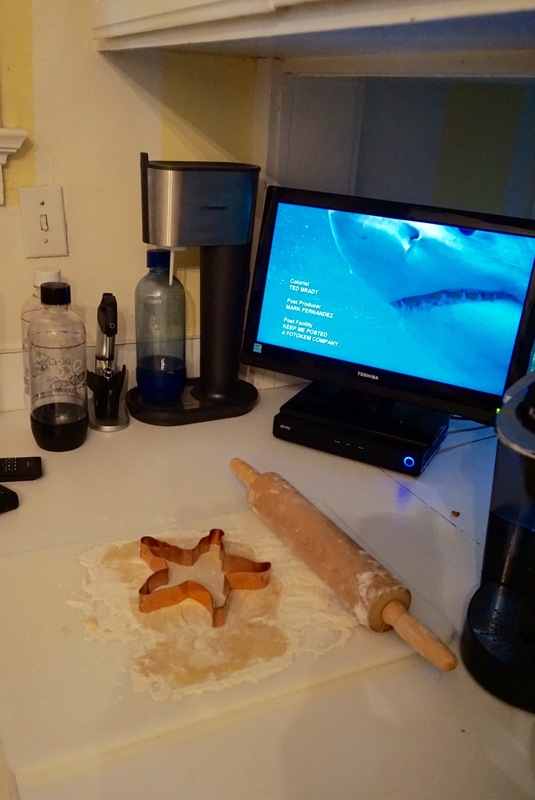 Every year we take a day out of the week to bake some Shark Week inspired treats to share with friends while watching. Last year we made adorable cupcakes with fins sticking out (seen below). 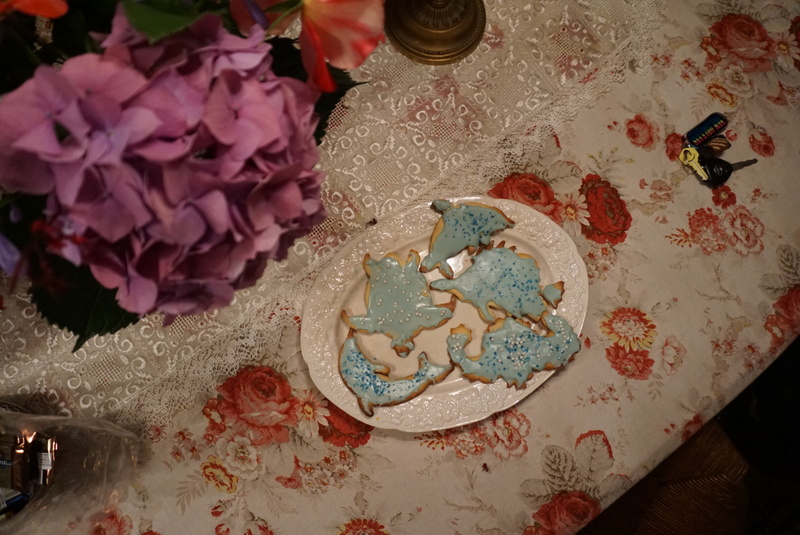 This year we opted for some nautical themed sugar cookies – although we didn’t actually have a shark cookie cutter, I think they came out pretty cute! 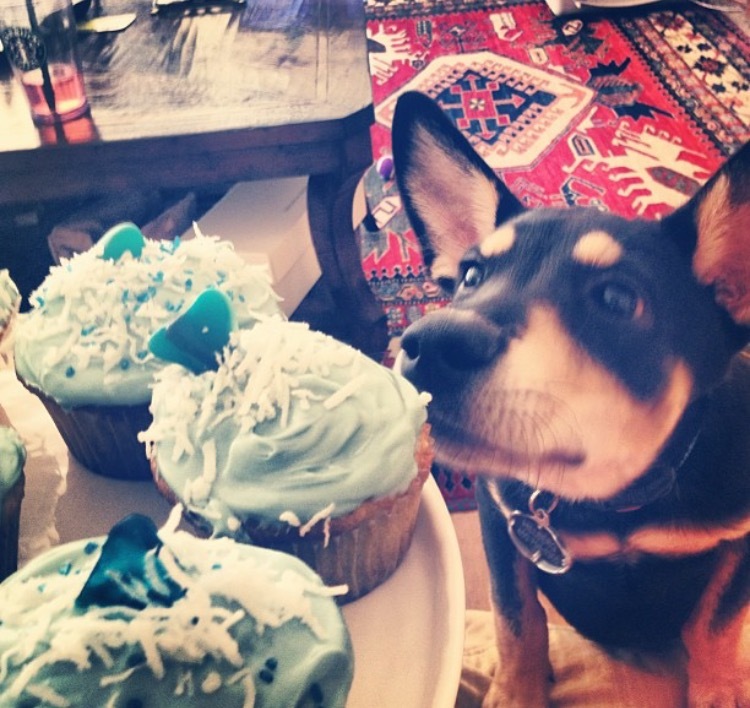 last year’s Shark Week cupcakes – as admired by my dog Buster! Combine the butter and sugar together in a bowl. Add in the eggs and vanilla until mixed throughout. Mix together all the dry ingredients in a separate bowl. Then, slowly begin adding the dry mix to the butter mixture until fully incorporated. At this point I recommend putting the batter in the fridge for a couple hours. Although this is not necessary, it will make the batter easier to work with when you go to cut out all your shapes! 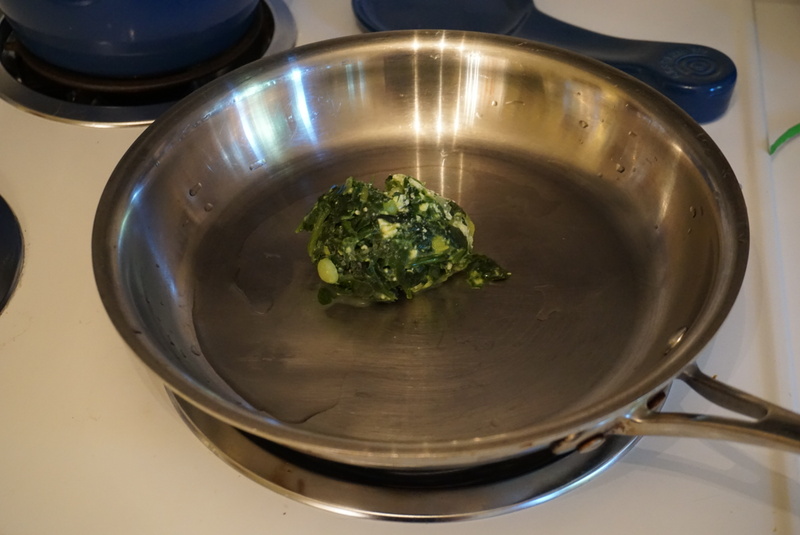 Once your batter is ready, roll the dough out on a lightly floured surface (We used a cutting board for easier clean up!) At this point, start to preheat your oven to 400 degrees. Lightly flour the surface so that your cookies don’t stick! We ended up using quite a bit of flower as out dough was particularly sticky. Roll out the dough to your desired thickness. 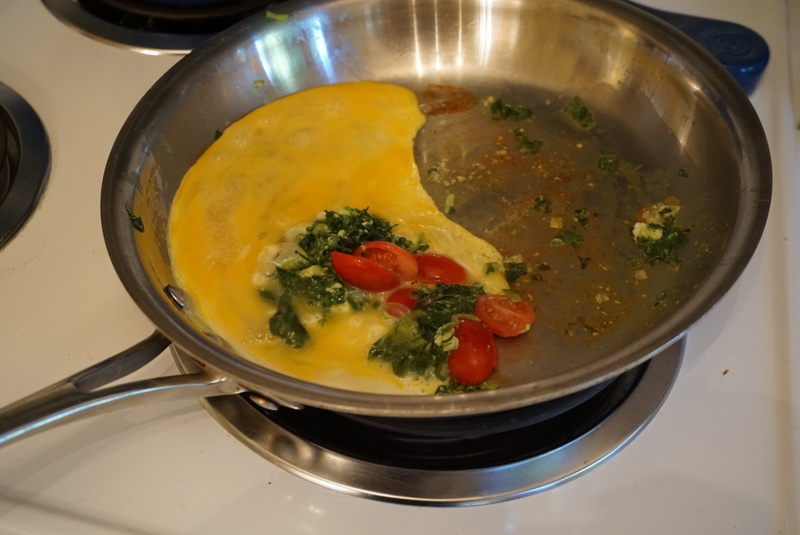 We did ours rather thin so they would cook and cool quickly. Next up, cut your dough in whatever shapes you like! These are great cookies to make for any occasion or around christmas time. You can decorate them with a group to go with any theme! 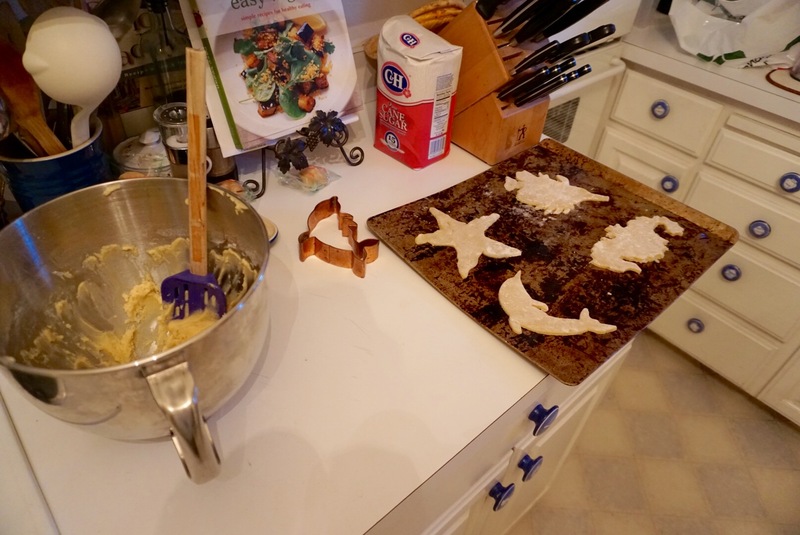 cutting cookies and watching shark week – Livin the Dream! Once you have all your cookies ready to bake – put them in the oven for 8 – 12 minutes (depending on thickness). I have found it best to set the timer shorter than you think, and check on them every minute or two after 6 minutes. You want the bottoms of the cookies to be brown – but once the entire cookie looks brown they are usually a little overdone! While your cookies are baking or cooling start working on the frosting. I don’t have a specific recipe for the frosting but essentially what we did is added a tablespoon of vanilla extract, half a bag of powdered sugar, and then some almond milk (prob around 1/4 cup) until we got the frosting to the consistency we wanted. (you can use whatever milk you prefer). 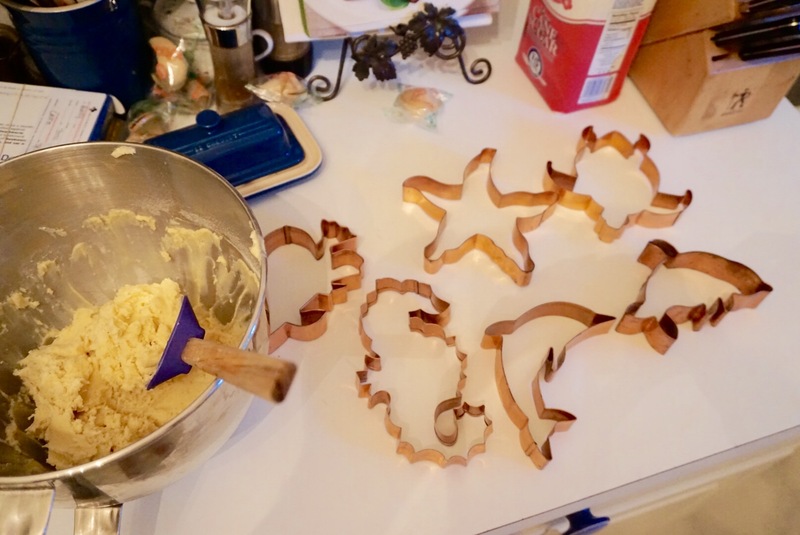 We opted to have our frosting on the thicker side so it wasn’t watery when we went to frost the cookies. 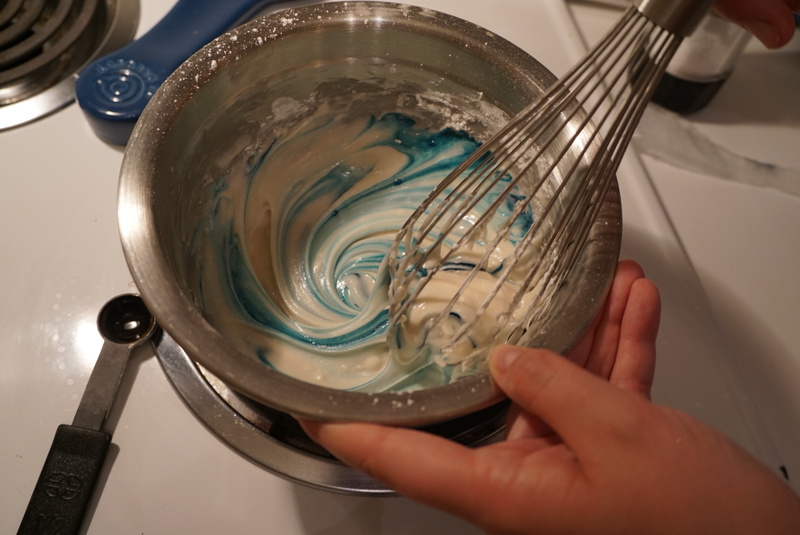 To fit in with the theme we also dyed our frosting blue! Frosting in progress! Simply mix powdered sugar, milk, and a tablespoon of vanilla extract to your desired thickness. 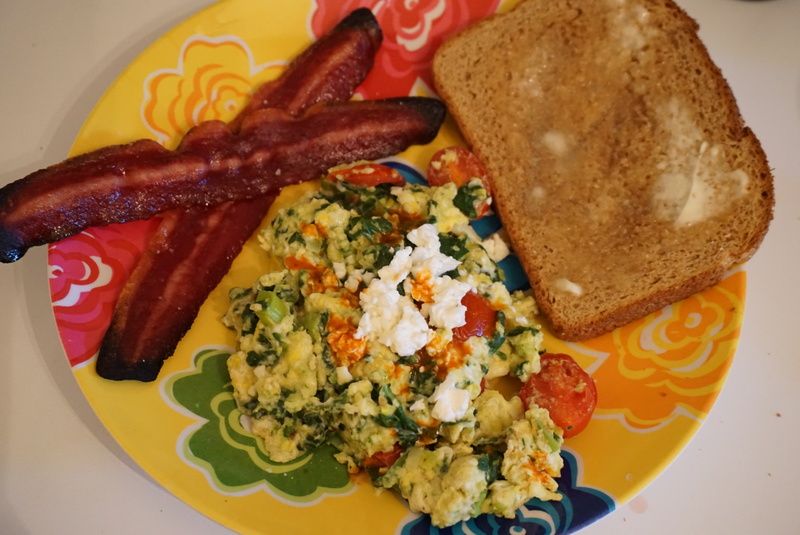 So easy and so yummy! Once our cookies were cooled (around 15 mins after coming out of the oven) we added our frosting and topped them off with some sprinkles! Now its time to enjoy the cookies and watch some sharks! I hope you enjoyed the post and more importantly tune in to Shark Week! July 7, 2015 .Reading time 3 minutes.